Hitz, a former inspector general of the CIA and now director of the Project on International Intelligence at Princeton’s Woodrow Wilson School, has written a fascinating primer on 20th- (and 21st-) century espionage that reads like a novel. In part, this achievement results from a close reading of several fictional espionage classics and a comparison with the characters’ real-life counterparts: the famous British spy Kim Philby, for example, emerges from the pages of John le Carr?’s Tinker, Tailor, Soldier, Spy. Works by Graham Greene, Frederick Forsyth, and David Ignatius are also critiqued at length and their possible real-life roots examined, while various other writers are briefly considered (e.g., Joseph Conrad, Rudyard Kipling, Somerset Maugham, Ian Fleming, John Buchan, Eric Ambler, and even Tom Clancy). 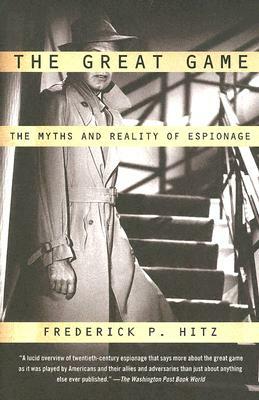 Separating espionage myth from reality, Hitz explores the motivation of spies and examines the “tradecraft” and bureaucracy of espionage. His study is made relevant to contemporary events with considerations of political terrorism and the recent cases of Aldrich Ames and Robert Hanssen. Highly recommended for..